The Maldives famously delivers the ultimate romantic holiday; water villas on the Indian Ocean, candlelight dinners, couples’ spa treatments and incredible sunsets – there are plenty of reasons why couples choose the Maldives. Welcoming guest’s 18 years old and over, Komandoo is a true adults-only paradise, offering adults a secluded ambience filled with peaceful and calming experiences in a charming setting. A chance to connect with your partner unhindered. Create a trove of unforgettable memories through island experiences. Coupling the beauty of the Maldives with the charms of a small resort, Komandoo is custom-made for love. 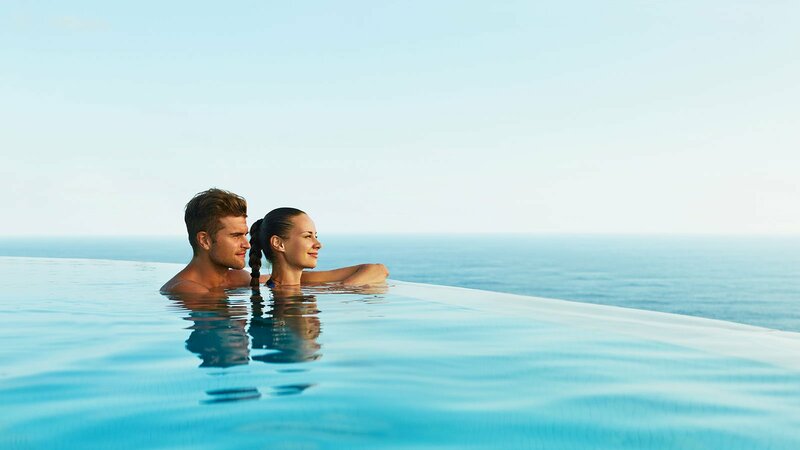 Award-winning attentiveness and leisure activities guarantee a laid-back retreat, perfect for your honeymoon or a romantic escape to tranquillity and relaxation. Paradise pure and simple awaits you in the Maldives. Make the most of your holiday in the Maldives with experiences that will create memories to last a lifetime. Komandoo is the perfect island destination for honeymooners, couples, friends and solo travellers who crave inspired tranquillity. It might be a bucket-list dream to dive the oceans or a gastronomic journey sampling exquisite cuisine or even indulging in pampering sessions for the mind, body and soul – whatever your desire, Komandoo offers the perfect adults-only destination filled with authentic experiences crafted with adults in mind. Romantic beyond belief, Komandoo offers the ultimate romantic honeymoon in one of the most romantic destinations on earth, Maldives. Start your married life with a trip to Komandoo, an island resort made for love. Relax in the peaceful and tranquil haven that is Duniye Spa where you can indulge in treatments for the mind, body and soul. Dining at Komandoo takes you on a gastronomic journey with luscious buffets, over-water fine dining and beach dinners, and there is even the opportunity to dine at the world's largest all-glass undersea restaurant at the nearby Hurawalhi. Those who dream of fulfilling an ambition to go scuba diving can do just that - the attentive Prodivers team can introduce you to diving, guide you through your course or take you on fun dives to over 50 dive sites. Sail away for a day on board a luxury sailing yacht, pass by picturesque islands as you explore the Indian Ocean and spot dolphins too. Private beach villas and water villas will delight guests seeking 'memorable moments' in paradise. Perfectly situated just steps away from the beach and turquoise waters of the lagoon.